Are you in need of a bail bond because someone you know has been arrested and taken into custody in Redondo Beach? If so, you’ve come to the right place. Our local, Redondo Beach staff of fully licensed and bonded bail bondsmen can work for the fastest release of your loved one or friend in the South Bay. If you’ve got questions, we have the answers you seek. Redondo Beach is one of the three beach cities in Los Angeles County’s South Bay, along with Hermosa Beach and Manhattan Beach. It is bordered to the north by Hawthorne, to the northwest by Lawndale and to the southwest by Torrance. If you’d like to speak with a local bail bondsman immediately, we can be reached locally at 310-782-BAIL (2245) or toll-free at 855-414-BAIL (2245). Our offices are open 24 hours a day, 7 days a week to take your call. 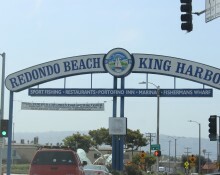 Unlike some of the other areas in the South Bay, Redondo Beach has their own police department who serve the law enforcement needs of the community. When someone is arrested in the city, it is to the Redondo Beach station that they will be taken for booking and processing. You’re probably already familiar with the booking and processing procedure from having seen it on t.v. and in movies. It’s when an arrestee’s photograph is taken, fingerprints are recorded and a background check is conducted. Booking and processing can take as little as 1 hour or as long as a few hours, depending on how busy the station is. Once this process has been completed, bail will be set and the inmate will be eligible for release should they obtain a bail bond. It all begins by calling us and speaking directly with a professional bail bondsman. We will need a little information on the inmate, such as their name, birth date and date and time of arrest. Once we have the info, we can locate him or her within the system and verify their eligibility for bail. After that, it’s simply a matter of filling out the bail bond application forms and indemnitor agreement. Once this has been completed, we will dispatch an agent to the jail and your friend or loved one will be released a few hours thereafter. We realize that this can be a stressful time for you, and there’s no need to meet with us in person in order to obtain a bail bond. The entire process can be completed from start to finish via phone, fax or email. If you’d like additional information regarding Redondo Beach bail bonds, or if you’re ready to get the bail bond process started right away, please give us a call at 310-782-BAIL (2245) or toll-free at 855-414-BAIl (2245). We’re always available to help you in this trying time.